tested with camera type "TRENDNnet TV-IP 312/422"
*if not working on your ACTi camera, probably the firmware is too old. It's suggested upgrade to latest firmware version. 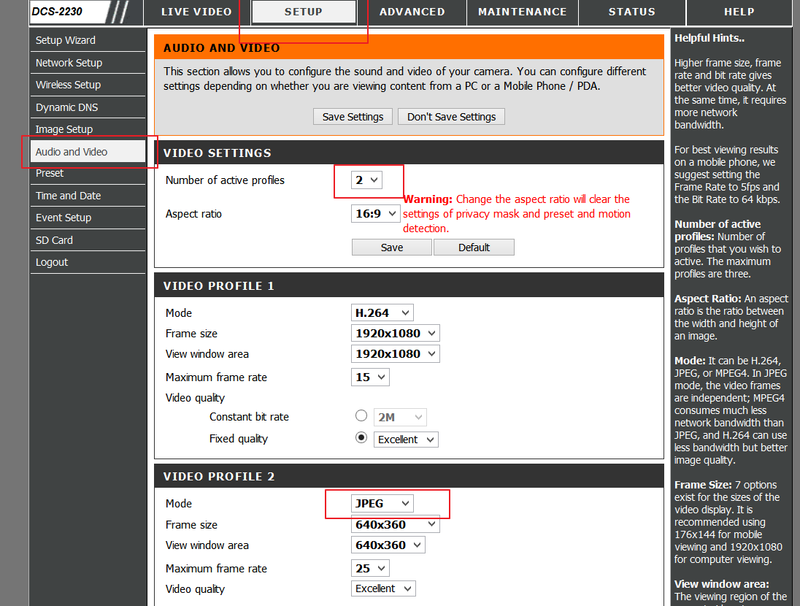 The web interface of the camera will display a version number in title after logon. 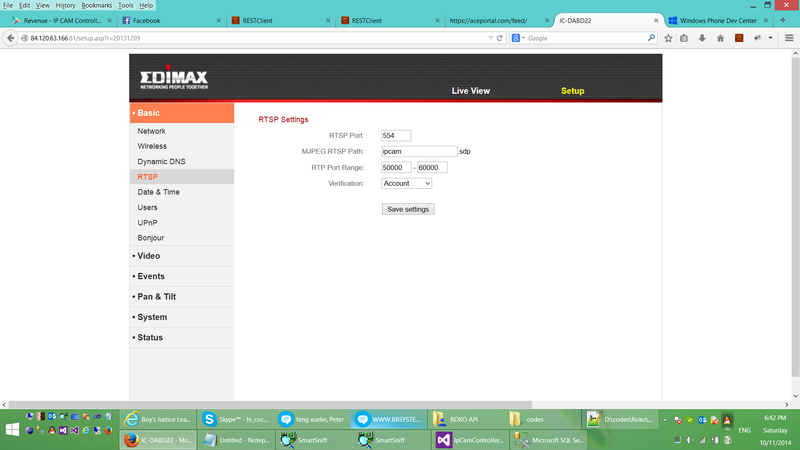 Normally IP Cam Controller works with "Web Configurator - Version v3.0". 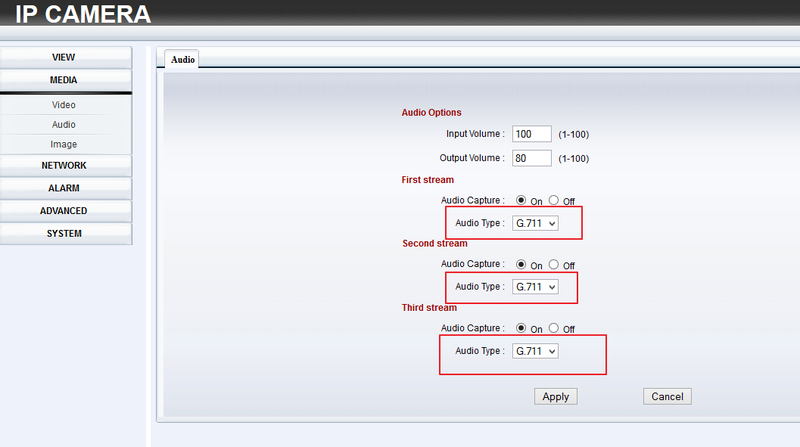 need to input "Camera No", it's corresponding to channel no or stream no in the camera. 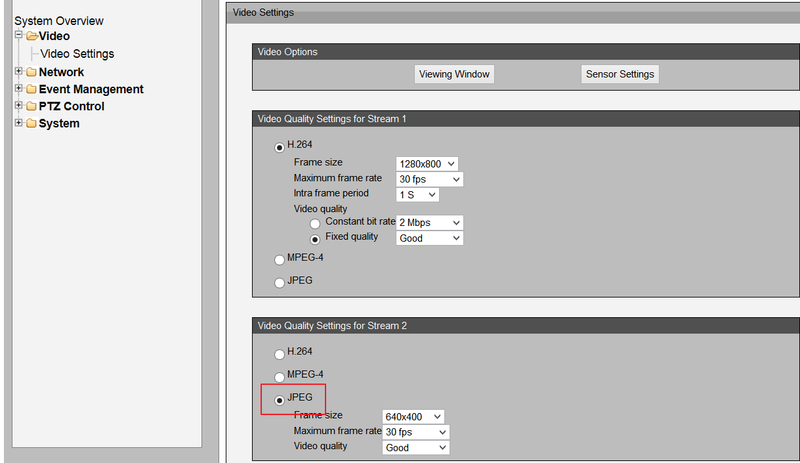 Must choose the channel that been set to MJPEG streaming format. The MJPEG one must also require to use HTTP as transfer protocol. tested with camera type "Canon"
tested with camera type "Canon JPEG"
tested with camera type "Channel Vision"
tested with camera type "ComPro JPEG 2"
tested with "D-Link " camera type, channel no need to configure to the profile ID that set to "JPEG", see sample, in this case, channel no should be 2. If your firmware version is lower than v1.11, please choose "D-Link DCS-5605" as camera type, otherwise use "D-Link DCS-5222L"
Choose "VivoTek 7000 series V2" as camera type and channel no set to the stream that configured as JPEG in video settings.See sample, in this case, channel no should be 2. Grandstream DVS is a DVR system, PTZ and othere functions various on different cameras you use together with it. 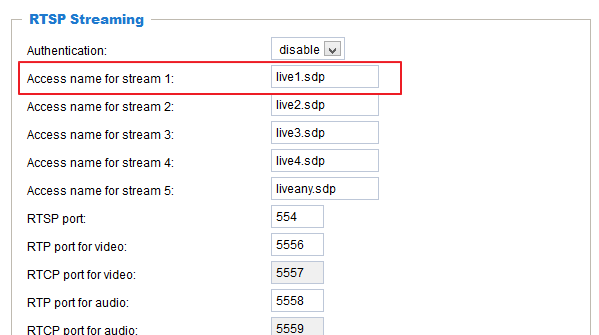 There 2 types in the apps: Grandstream DVS MJPEG and Grandstream DVS JPEG. MJPEG one has better image quality but for some models (like GXV3504), you need to change the 4*D1 Settings to "MJPEG", otherwise you have to use "Grandstream DVS JPEG" as camera type in the app. "MIPS" is belived to be some sort of code name of a camera system. Some small brands or brandless camera use its firmware. *SecuritySpy is DVR-liked camera "proxy" software, it could manage different types of ip camera and even able to turn your webcam to serve as ip camera. this camera works on "Tenvis Iprobot3"
this camera works on "Tenvis"
*this camera has multiple versions, a NCH536MW with firmware V1.4.0.1.5 had been tested that audio only work when changing camera type to "Foscam FI9820W"
*WebcamXP/Webcam7 is DVR-liked camera "proxy" software, it could manage different types of ip camera and even able to turn your webcam to serve as ip camera. 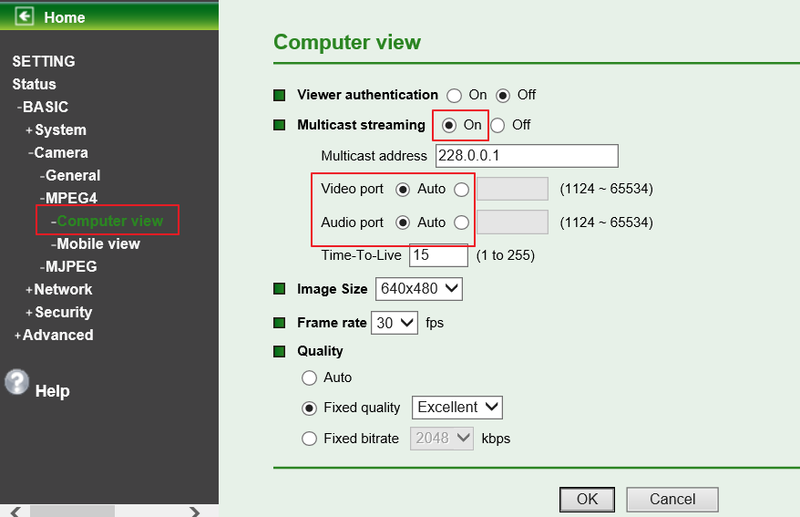 *In terms of video quality, Stream mode is the same as HTTP mode. 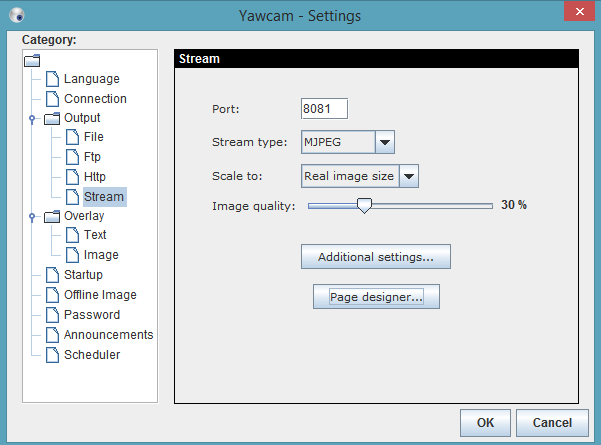 The main difference is that Yawcam Stream consumes lesser data in streaming but it doesn't have live tile suport in the app while Yawcam HTTP is opposite. 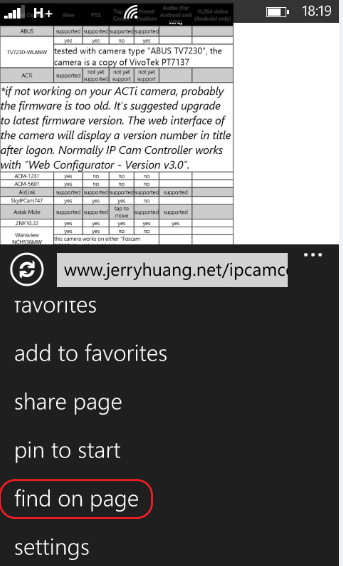 If data usage is your concern, use Stream; if you care about tile update randomly/regularly in the app, use HTTP instead.